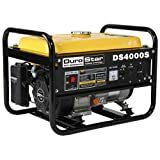 A backup power generator creates sparks; therefore, never operate a gas generator in areas conducive to the ignition of dust or flammable fumes. Make sure you are dressed properly to include containing long hair and avoiding loose clothing or jewelry. Never overtask your portable generator and prevent exposure to rain or wet conditions. Common sense tells you that water can induce electric shock, so stay alert during the operation and for heavens sake keep children away from the unit. 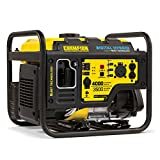 Carbon monoxide can kill you and your family, so never operator the generator in an enclosed garage or structure because the odorless gas can accumulate around you and effectively put you down within minutes of inhaling the fumes. If you sense something is mechanically wrong with your home generator, take it to a qualified repair shop. Even an active do-it-yourselfer can ruin the system by performing unqualified repairs. However, ongoing maintenance and service is certainly within the realm of the home owner who takes time to study the owners manual. Your gas home generator requires both oil and fuel. Make sure proper levels are in order before starting the engine. Once again, be very cautious of sparks and flames such as those caused by cigarette smoking. If you spill any fuel or oil, clean it up right away. Dispose of fluids and cleaning materials as required by official codes and regulations. For example, oily rags should be stored in a covered metal container. Do not refuel while the generator engine is running or while still hot. Double check for leaks in the fuel system and refrain from operating the unit until any such leaks are corrected. Also, make sure you use only the fuel and oil that has been recommended by the gas generator engine manufacturer. Sometimes there can be excessive buildup of unburned gases in the exhaust system and this can potentially explode. This usually occurs if you have repeatedly attempted to start the engine without success or perhaps the hot engine has simply shut itself down. When this happens, open the exhaust system and drain the plugs to allow the gases to dissipate. When the engine is not in use, leave the fuel valve lever in the OFF position to prevent carburetor flooding and help to reduce any potential fuel leakage. 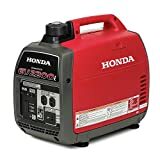 Ordinarily, if your generator will be stored for less than one month no special requirements are necessary, but when the storage time exceeds 30 days you should make certain you have fresh gasoline, plus a gasoline conditioner. For periods over 2 months, you should drain the carburetor float bowl and the fuel sediment cup. Excessive storage times require removal of the spark plug, as well as additional steps suggested by the manufacturer. 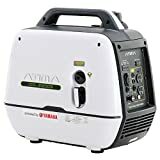 Whether you have a Generac generator, Onan generator or Kipor generator, attending to a strict maintenance schedule is necessary in order for your portable home generator to function properly for an extended period of time.